These two tails have been born from years of fishing with an almost mad scientist approach mixed with a need for Aussie species-specific tails and hook combinations. The Mongrels and has been designed, tested, fine tuned and tested again and again until Team Squidgies reached the final product. 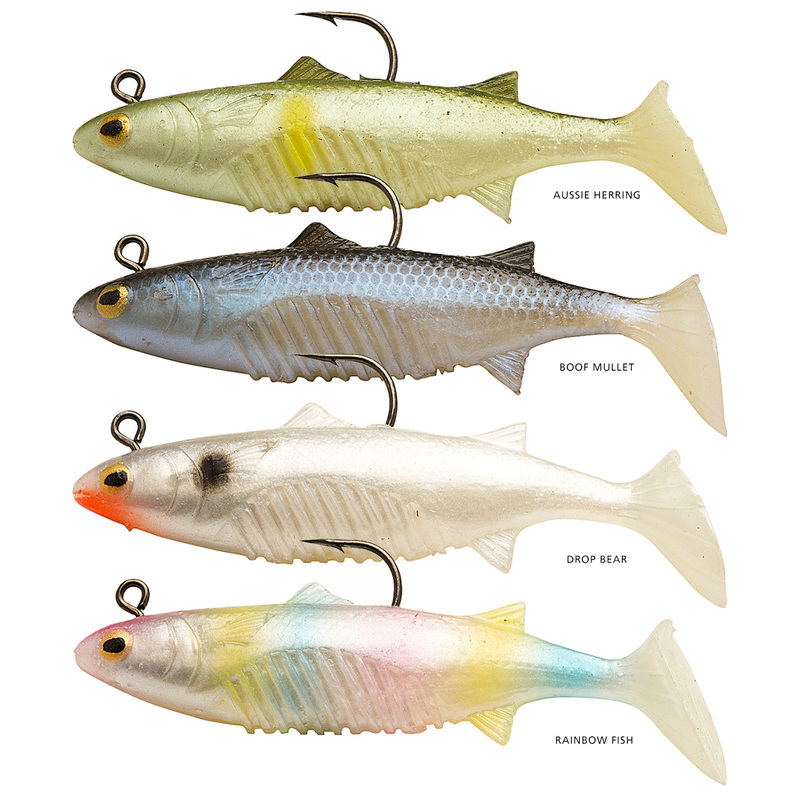 With its intergrated weight system and super 6X strong hook (in the 115mm models) these lures will hang onto the biggest beasts swimming. 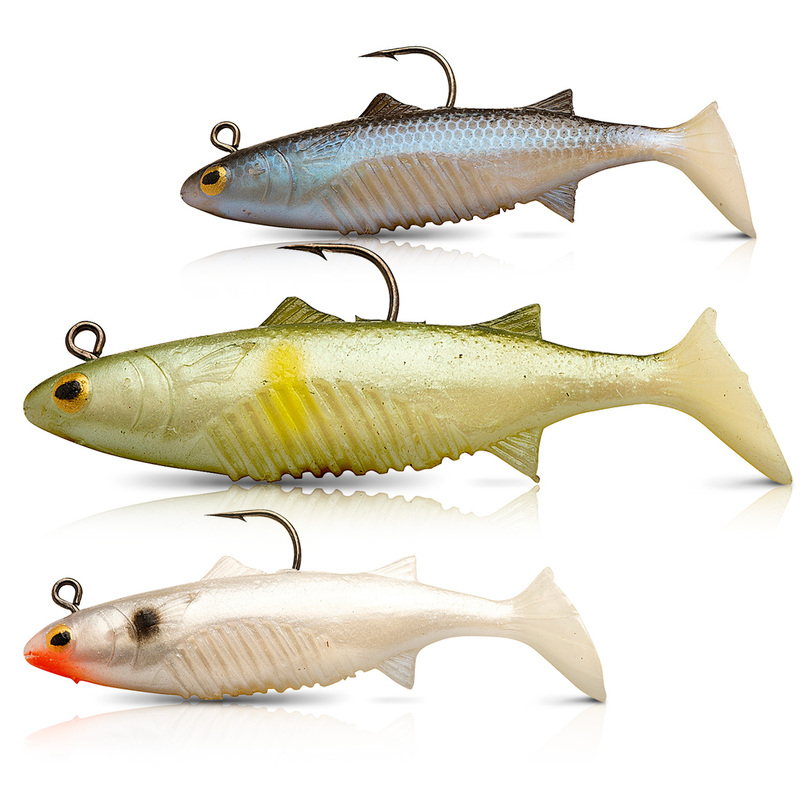 They have also been designed to be rigged weedless with extra material in the nose section, match this with unique swimming actions and life like colours and scale patterns and the Mongrels are not just another soft plastic lure!